Posted on June 17, 2016 at 12:00 pm. For actors, a great CV is just as important as it is for any other profession. Your CV (or ‘resume’ for our American friends) should show off your skills and experience and is a key tool for landing auditions. Knowing what agents and casting directors are looking for can help you recognise the assets you already have and point you in the direction of any gaps you need to fill. That way you can soon have a CV that will start opening doors and help you take your first steps into a professional acting career. A list of acting training on your CV instantly shows people they aren’t dealing with a total amateur who doesn’t even know the basics. It also shows you’ve committed time and money to making this your career and are not just applying for roles on a whim and therefore likely to end up wasting their time. Whether you take a short course, evening classes or a more in-depth programme of study, acting classes will make you a better actor, boost your confidence and give you the chance to network with other aspiring actors. If you’re just starting out, you might not have much (or anything) in the way of professional experience to put on your CV. However, chances are you already have a fair bit of “in training” professional experience. This shows that you have trained professionally and are serious about acting as a business. The experience of the roles played whilst training helps convince people you’re worth giving a shot. If you haven’t got any of this type of experience yet, then you really do need to get out there and get some as soon as possible! One key difference between an actor’s CV and any other kind of CV is that potential employers need to know how you look. This doesn’t mean you have to have “movie star good looks” but the way you look will have an impact on the type of roles you are likely to be offered. It is therefore absolutely vital to include a full set of professional-quality head shots with your CV. There are a lot of dos and don’ts for actors’ head shots, but they key thing is that they need to be taken by a professional who specialises in head shots (not your mate on their iPhone) and they need to actually look like you. If you can put together a well-filmed, well-edited showreel that highlights some of your best acting, it will show casting directors and agents exactly what you have to offer and leave nothing up to their imagination. Aim for around 1-3 minutes made-up of clips of your very best work to instantly jump to the front of the pack. You will usually have two main targets for your CV – agencies and casting directors. In both cases it’s important to understand that each agent and casting director is different. They will usually handle different kinds of actors and projects and each is likely to have their own preferred ways of being contacted. Increasingly people prefer being contacted by email and may see phone calls as a nuisance. Do your research and make sure you are approaching only people relevant to your skills and the kind of roles you are interested in. Make clear in your cover letter why you have targeted this person specifically so they do not think you are just spamming everyone in town. Remember too that getting a response is often about timing as much as anything, so if you haven’t heard back after a couple of weeks it is always worth sending a follow-up email. An actor’s CV is just like any other kind of CV in that presentation matters almost as much as content. A badly formatted CV looks unprofessional and there’s a good chance it will simply end up in the bin without being read. There’s a whole host of advice out there about the best ways to format your CV but the basics are fairly easy to get your head around. Keep it short and sweet – your CV should be two pages or less. Use a clear, easy-to-read font such as Times New Roman or Arial and use a font size of around 10-12. Any specific skills e.g. stage combat, accents, singing range etc. Understanding the business side of acting is crucial to build a successful acting career. 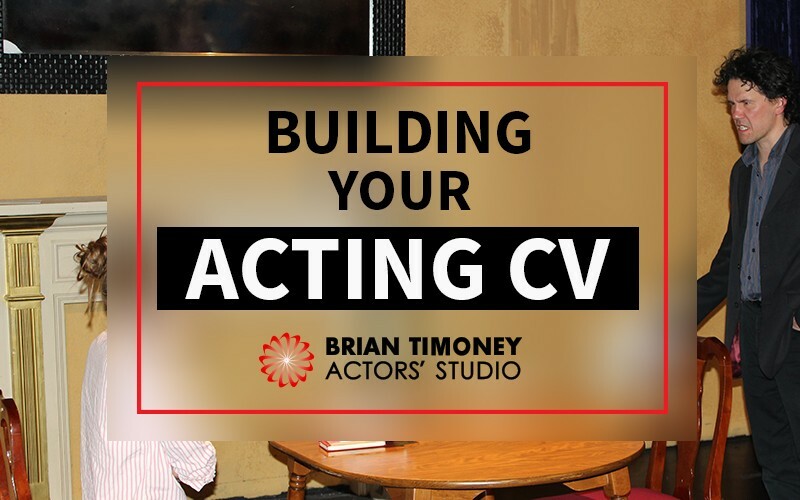 Putting together a professional-quality acting CV is just one of the skills you will need to make you stand out from the crowd and start getting paid acting work. Our Ultimate Acting Programme is not only the UK’s top method acting course, it also includes a full career-support package covering everything from CV writing to providing you with a set of professional head shots. 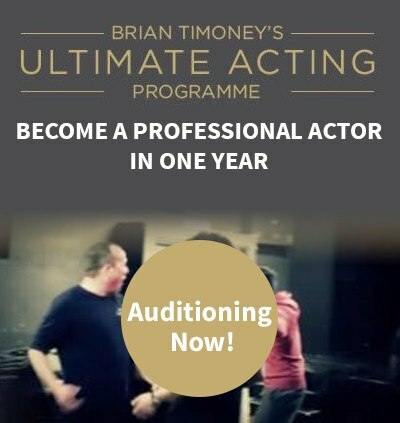 To find out more, including dates for our next round of auditions for the Ultimate Acting Programme, please get in touch.